In the food and beverage industry, compressed air is often used in a wide range of applications, dairy processing included. When it comes to dairy processing, milking cows by machine has become a common practice. Those machines are used for milk transportation, positioning container lids, and more. Contamination from compressed air is a major source of concern and that’s why it has to be dry, clean, and free of contaminants to ensure a smooth production. At Airtech Vacuum Incorporated, we carry a top-notch range of vacuums and blowers that can be installed into milking systems. Oftentimes, milking procedures must be completed within two hours. Industrial vacuum pumps are often chosen for the job. The type of machine that will be used depends on the number of cows that need to be milked. Vacuum pumps are not only used to transport the milk, but also to attach the udder as well as secure the milking claw assembly to the teat, at the correct pressure. Today, oil free vacuum pumps are the preferred choice as they offer significant advantages over their oil-lubricated counterparts. The former is more tolerant of carryover and require minimal maintenance. Another way of transporting and processing the milk is through the use of regenerative blowers. When it comes to processing other dairy products such as yoghurt, vacuum pumps are installed into yoghurt filling machines to accurately position the lids on multiple yoghurt containers (pre-filled) simultaneously, i.e. suction cups on the machine will grip the lids tightly, separate them, and finally move them into the correct positions. Why Choose Airtech Vacuum Incorporated For Milking Systems (Dairy Processing)? 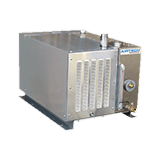 Airtech Vacuum Incorporated was founded in 1982 and has been manufacturing a wide variety of vacuum and blower technologies, including variable speed blowers, liquid ring vacuum pumps, oil-less vacuum pumps, and more. Our dedicated team works tirelessly to serve each industry with unparalleled technology. You can be sure that our regenerative blowers and vacuum pumps for milking systems offer ease of operation and ease of installation with features such as close-coupled construction. When you work with us for your dairy processing needs, you can have peace of mind knowing that we are also ISO9001-2008, UL-, CE-, RoHS-, and CSA-certified. Our knowledgeable engineers are always ready to analyze your unique situation and match the best pressure-based and vacuum technologies with your needs. Whether you need to get a blower with magnetic drive or one that is nickel-plated, Airtech has got your back. We take pride in our work and the care we give for every order. That’s why our products are available at the most competitive rates. Airtech strives to make your shopping experience the best it can be. Start browsing through our inventory today and source for top-notch milking systems (dairy processing) vacuum and pressure products with exceptional ease!